If you can identify this tree species correctly and completely, I will reward you with chocolate. So far it has stumped two fire fighters and a forester. Best guess so far is that it is some sort of fir. 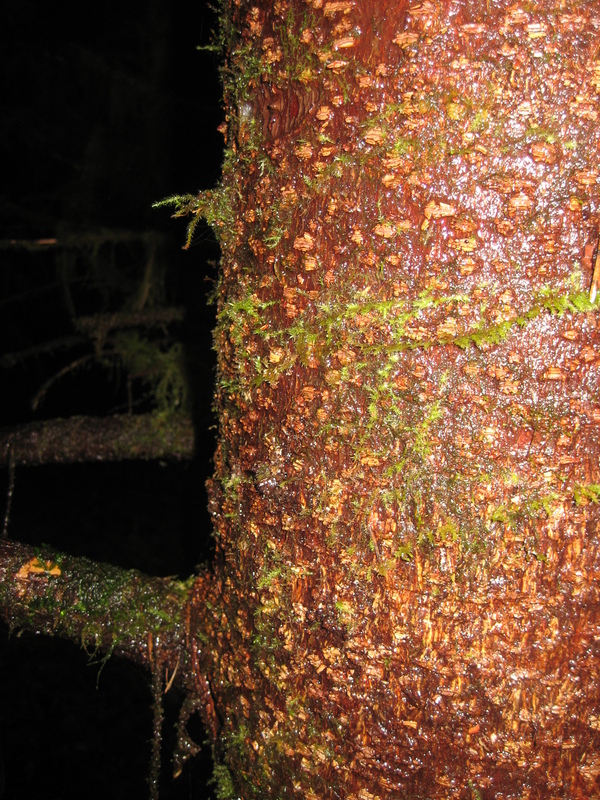 This entry was posted in Haida Gwaii and tagged chocolate, help, Picea sitchensis, Sitka spruce, tree. Bookmark the permalink. 8 Responses to Name that species! Not pine. Fir. But they say no fir grows in these parts. Which “fir”? Your fir is not my fir. Your fir is probably Douglas Fir, which is not a fir; it’s pseudotsuga menzeisii, of course. True firs are abies (balsamea, grandis, etc). The needles on amabilis are blunt. These are sharp. No dice. Any other thoughts? Tomorrow the question goes to two local foresters so an answer may come from them! First instinct – I think we had these trees in Northern Vancouver Island, and we called them balsam, but they aren’t actually balsam. There was a code for it that we used in our field books that was Hb (or maybe not, it was a long time ago). I remember a co-worker telling me it’s for amabilis fir. But the needles in your photo look a bit too pointy, and doesn’t have the silvery grey at the bottom. 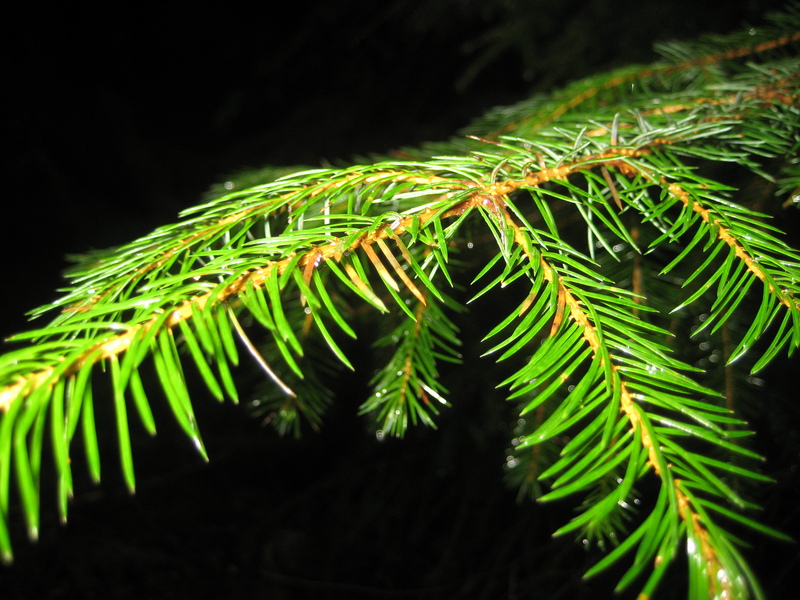 The pointy bits almost makes it look like spruce, but then the needles would be more circular around the branch. The bark is also smoother than what I remember. Then I got curious and started looking at photos of trees online, which didn’t help. I haven’t seen a conifer in months, so they are all starting to look the same. We have an abundance of blue gum, palm, mango, and baobab here at least. In case anyone was still wondering, it is a Sitka Spruce (Picea sitchensis). It is a bit of an unusual example of it though. The needles are less rigid and less omnidirectional than most of the sitka I saw. The orange & oates of this bark was something I only later saw on very old Sitka when I peeled off flakes of bark.